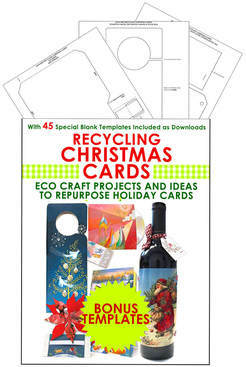 10th Anniversary of Recycling Christmas Cards! NOT JUST FOR XMAS CARDS! NOW IN ITS TENTH YEAR! ​Print Book, Regular PDF Ebook and Library Loans! but finding the perfect ​templates is not. on patterned or solid colored papers! 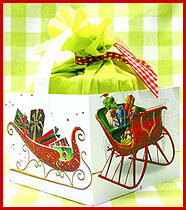 with cards for occasions like Easter and Birthdays too. 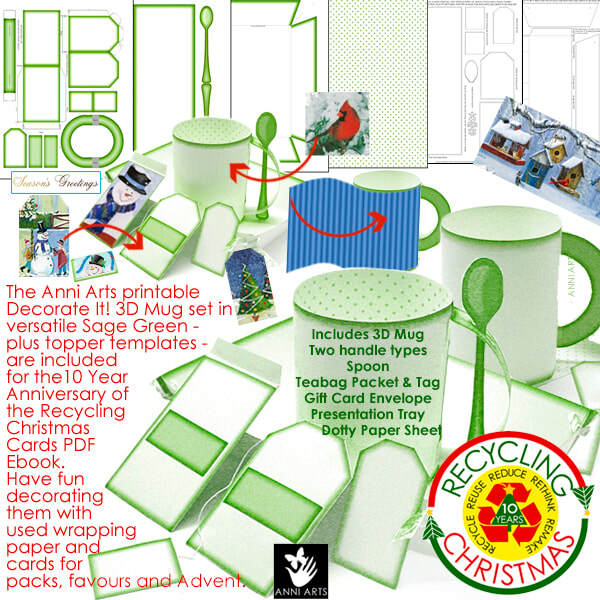 The extra mugs are super to decorate as unusual gift containers or decorations. as well as decorations like​ orphaned baubles and stray sprigs of holly, ivy and more! ​Make 24 Mugs as a novel Advent set and fill with little daily treats. OR make 7 Countdown Mugs for the week before Christmas. 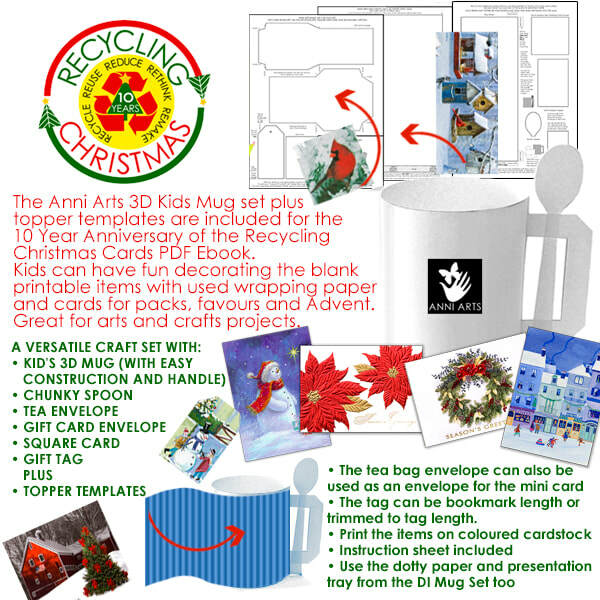 An easier version of the Anni Arts 3D Mug especially for kids crafts. ask parents for all cards from the Holiday season. ​along with other projects made from the book. 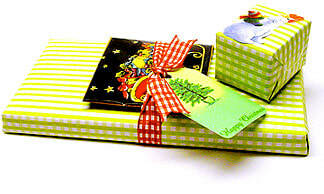 ​They are suitable for print crafts with patterned or solid colored papers. These are in addition to the original cut and trace templates! Items made in this way can still be decorated with bits of old greeting cards,​or can be regular paper crafts decorated in any other way. 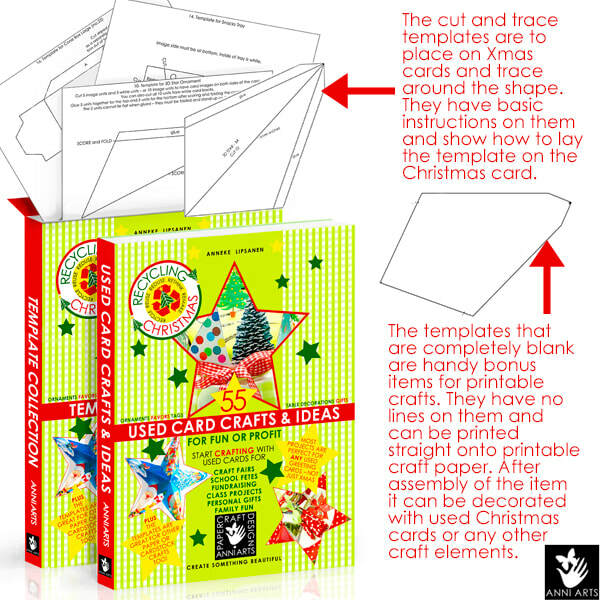 Interested in easy and pretty template crafts and ideas for recycling Christmas cards? 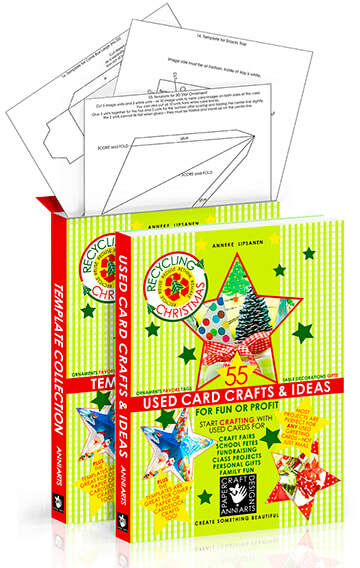 ​Then you will love this Ebook and template collection with eco craft projects and ideas to repurpose Christmas and Holiday cards.